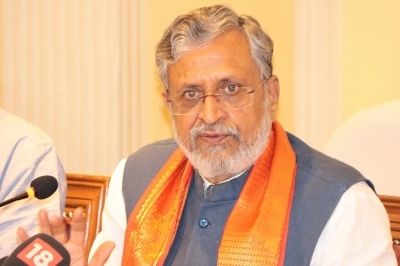 Bengaluru, Oct 28 (IANS) Goods and Services Tax Network vendor and software major Infosys would expand its team to fix bugs in the GSTN, said Group of Ministers (GoM) Chairman Sushil Kumar Modi on Saturday. “The IT services major (Infosys) told us that it would expand its 100-member team, which runs the GSTN, to fix the bugs or technical glitches in it,” Modi, who is the Bihar Finance Minister, told reporters after the third meeting of the GoM here. The software major has already fixed 18 of the 27 glitches and made them operational though more bugs were cropping up due to changes the GST Council makes after it meets every time to smoothen the new tax regime. Infosys won the Rs 1,380 crore contract in 2015 to implement the world’s largest digital tax system and maintain its portal for five years. “Suggestions by the member states at every meeting of the GST Council are creating new functionalities, which the vendor has to incorporate in the Network by tweaking its software platform,” said Modi. Admitting that glitches would continue to crop up to incorporate suggestions or changes sought by the stakeholders, he said the challenge was to resolve the problems soon, given the scale of the GST rollout and its scale. “The next challenge for the GST Council is the review of invoice matching functionality of the GSTN. The Council has to address the issue at its next meeting in Guwahati on November 10,” he added. Noting that the Council was aware of invoices not matching, he said as more such issues arise, the system would have to be fine-tuned with new functionalities. Giving an update on the indirect tax returns filed for the last three months across the country, Modi said 56 lakh traders filed for July, 53 lakh for August and 46 lakh for September, adding that though 46 lakh traders filed GSTR1 for July, only 12 lakh have filed their GSTR2 so far with three days left for its filing by October 31. About 10 lakh dealers registered on the GST network have not filed any tax returns so far due to misconception on their tax liabilities. “They (dealers) think they do not have tax liabilities to file returns. The commercial tax department in the states have to educate them to file even if they don’t have tax liability as required by law,” he added. Besides Modi, other GoM members are Chattisgarh Minister for Commercial Taxes Amar Agarwal, Karnataka Agriculture Minister Krishna Byregowda, Kerala Finance Minister T.M. Thomas Issac and Telengana Finance Minister Etela Rajendar. GSTN Chairman Ajay Bhushan Pandey and GSTN CEO Prakash Kumar assist the GoM in addressing the glitches, which have marred filing of returns since the new regime was rolled out on July 1. The GoM was formed on September 12 after several states complained to Union Finance Minister Arun Jaitley, who heads the Council, at its meeting in Hyderabad on September 9 that the glitches were causing severe problems for traders and dealers in filing returns and making payments. Since July 1, over 23,18,000 new traders registered for theAGST, with 11 lakh dealers under the composition scheme, taking the total number to over 85 lakh, including 62.25 lakh traders who migrated from the old VAT and service tax regime.